T Always wondered what you can give to your child when it comes to birthdays presents? this would be the best present for your kid if he/she is a huge batman fan. 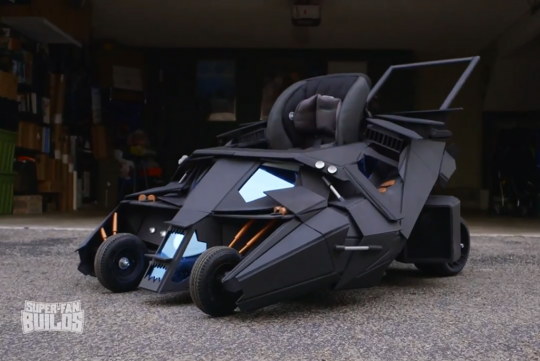 However, this is not for sale but if you are good with your hands, you might be able to create one yourself..
Watch the video to see how Hollywood prop-maker Tim Baker and his team built this one-off custom stroller as part of the 'Super-Fan Builds' web show. Gotta get me one of these bad boys! !